The Sanskrit word yoga means to harmoniously unite or “yoke together” the body and mind for physical and spiritual well-being. Simply put, it is an experience of conscious connection that can lead to profound feelings of joy, contentment and fulfillment, even bliss. There are many traditional yogic paths that facilitate this connection, and the classical techniques stretch back more than 5,000 years: bhakti, kundalini, jnana, tantra and karma yoga are just a few. The practice has three main structures: exercise, breathing and meditation. Yoga can include posture (asana), breathing (pranayama), control of subtle forces (mudra and bandha), cleansing the body-mind (shat karma), visualizations, chanting of mantras, and many forms of meditation. What’s true for all techniques is that yoga is an effective tool for managing stress, increasing relaxation and flexibility, improving overall health, expanding one’s sense of personal freedom and deepening self- knowledge. Consistency is key. If you’re new to yoga, we encourage you to attend a couple of classes a week, with at least a day in between to allow your body to rest. This will help you to learn the basic foundations of safe alignment and breathing, while building a strong foundation for your practice. Choose a class that works with your schedule and stick with it. After you start to develop a foundation for your practice, which can take three to nine months of consistent practice one to three times a week, we encourage you to explore different classes to discover what resonates with you. Over time, increasing your attendance to three or fours times per week is recommended for a well-rounded regime. You should start to notice progress and begin to build strength, flexibility, focus and stamina after just a few classes. Initially, you are likely to experience some muscle soreness afterwards. This is a positive sign. It means that your body is adjusting and already growing stronger. With dedication, you can expect nothing short of a transformation in your body, mind, spirit and overall health. You don’t need to be flexible to practice yoga. It is for everyone, at any level of fitness. 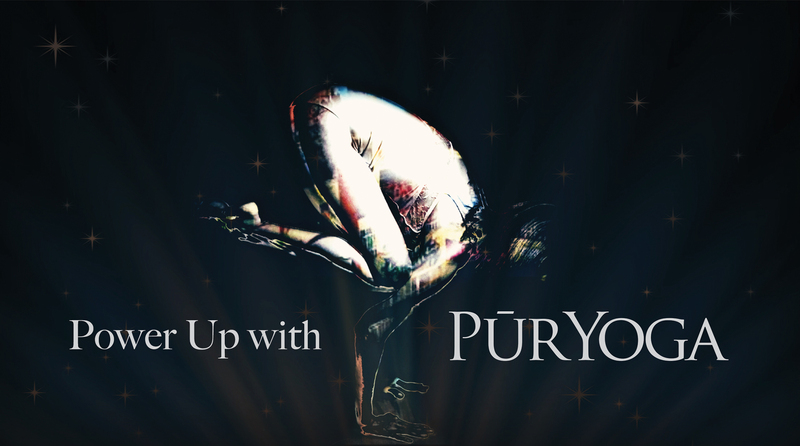 The good news is that the poses will enhance both your strength and flexibility over time. Absolutely! 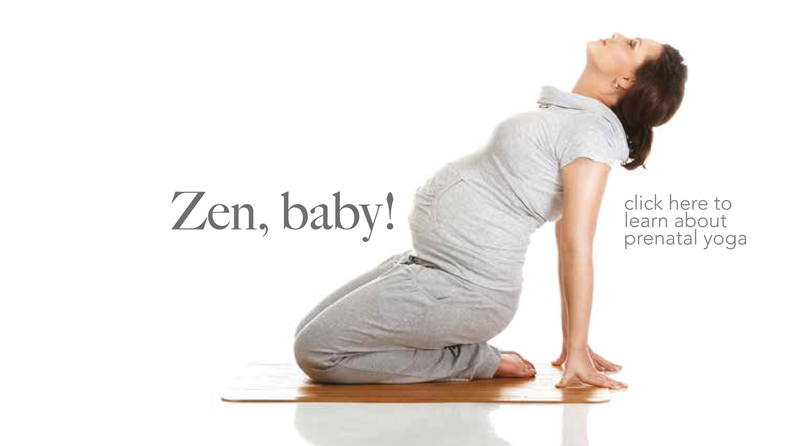 In fact, we offer prenatal classes specifically for expectant mothers. If you can’t attend the prenatal classes due to scheduling, call us and we’ll help you find a gentle, non-heated yoga class that best fits your lifestyle. Or, we can assist you privately with how to safely practice while expecting. Please note: If you are pregnant, we ask that you refrain from practicing Hot Yoga. Do you have childcare services? No and childern can not be left in our lobby areas unsupervised at any time. What if I’m recovering from an injury? With proper modifications, yoga can often be beneficial to anyone with injuries or chronic pain. It helps the body regain a balance between strength and flexibility, movement and awareness. Please inform your instructors of any injuries, medical conditions or other concerns you may have so they can modify your practice accordingly. If you have a chronic or acute condition, consult with your healthcare provider before beginning a yoga practice or any other activity. New to yoga? Our Power Basics class or Gentle class will give you a good foundation to start with. Not so new to yoga? Our Power Basics, Power Flow and Power Lite classes will keep you challenged and your practice on track. Looking to deepen your practice? Our Power Yoga and Yin Yoga classes offer an opportunity to build strength, go deeper and find more opening in your mind and body. Want something fun and different? 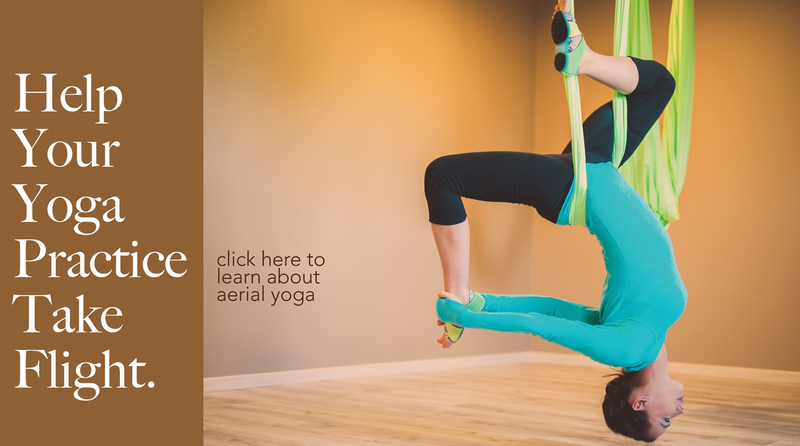 Check out our Aerial Yoga classes, where you can elevate your yoga practice above the mat. Need more support with your traditional yoga poses? With Aerial Yoga, you’ll find that some of the poses you struggle with the most can be done with greater ease.